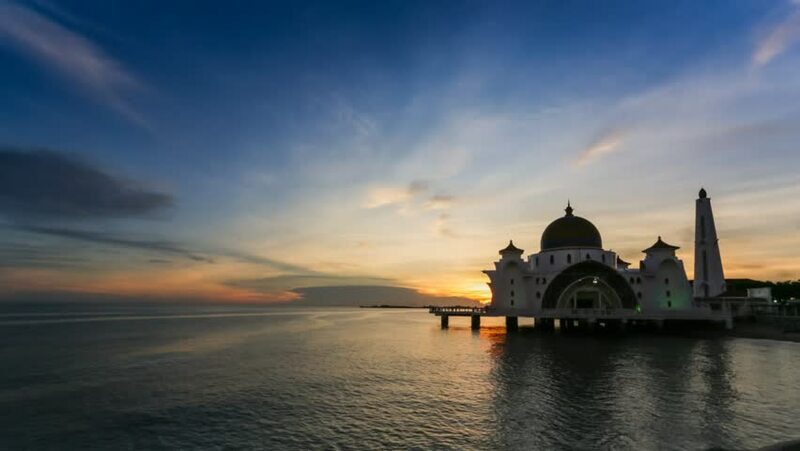 4k00:13Time lapse 4k Footage of Beautiful Sunrise At Malacca Straits Floating Mosque, or Masjid Selat Melaka. Showing a moving and changing color clouds. 4k00:26Malacca, Malaysia: 06/02/2019: 4K Footage Video of Beautiful Sunset at Straits Mosque of Malacca, Malaysia with Tourist Duck Boat passing by in front of it. 4k00:124K Footage of Amazing Sunset at Straits Mosque of Malacca, Malaysia. The Mosque is located at man made Island, Malacca Historical City, Malaysia. 4k00:264K Sunset Timelapse of a beautiful mosque by the beachside in Malacca, Malaysia from day to night. Zoom In Camera Motion Time lapse. 4k00:13The sun sets over The Selat Melaka Mosque on Januari, 2017at Malacca, Malaysia. 4k00:10Timelapse of Majestic Malacca Straits Mosque or also known as Masjid Selat during beautiful sunset. Pan Motion Time lapse.